When it comes to natural disasters, floods, draughts, tsunamis and fires are the often first types of tragedies that come to mind. However, we often forget about the possibility of mudslides - and the way in which they affect the communities in which they occur. Not only do mudslides pose a disastrous threat to homes and communities, they are often the result of torrential rains or flooding. While it may be your dream to live in the countryside at the foot of a hill or a magnificent mountain (capped with snow from time to time), the reality is that we may be putting ourselves at risk of a natural disaster. When picking a spot on which to lay your foundations, it is important to ensure that you survey the landscape of the area. Are there many undulating hills? Is the mountainside steep enough to cause a mudslide? And is there a large amount of mountainous debris – trees, rocks and sediment? If the terrain gives you any doubt about whether or not to build or buy a home within that vicinity, it is important to reconsider your options. While a green and luscious landscape is often desirable to homeonwers, it is important to double-check that water table of the area in which you hope to build or buy your home. If the area receives a considerable amount of rain, and if the groundwater levels are high, you may be at risk of floods and mudslides. It is important to remember that there are varying degrees of mudslides, all of which can cause significant damage – even the most subtle of mudslides can cause structural damage to your home as the weight of the debris can cause walls, fences and gates to break or crack under the pressure. 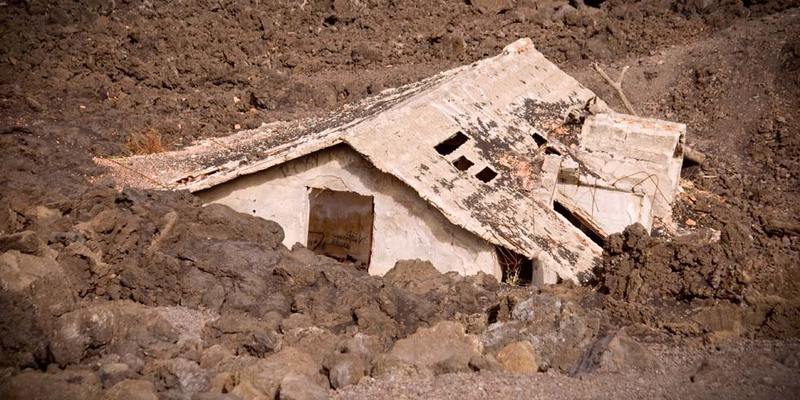 While there is no way in which to avoid a mudslide if you live in areas prone to them, there is a way in which to indemnify your home against the damage that may be caused during the event of a natural disaster, and that is through effective and reliable home insurance. Take a look at MiWay’s latest eBook entitled ‘The Household Emergencies' Handbook’ where you will you able to establish ways in which to cope and address the variety of emergencies you may encounter.